Summer is here! We are eating out, having BBQs and graduation parties. There are leftovers and fresh fruits and veggies crowding fridges everywhere. 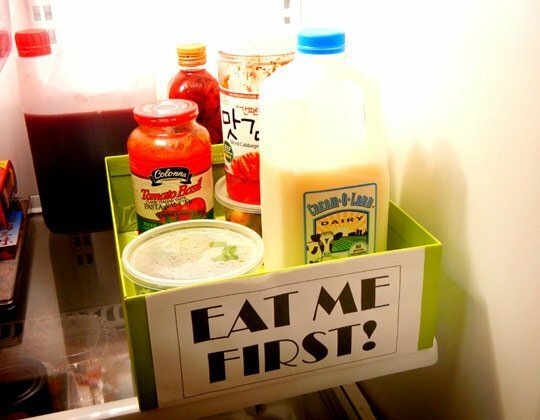 Here are some tips on how to keep your fridge clean and avoid waisting food! 1. Keep your leftovers in plastic containers. Don’t leave your extra food in the bag or box you brought it home in, if you can see what is in your fridge it is more likely to catch your eye and be eaten. 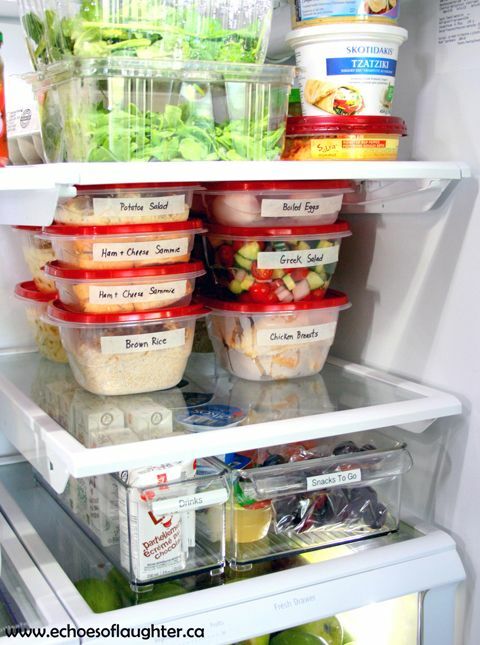 If you’re really ambitious have a few glass tupperware containers that you can transfer your food to and label with a dry erase marker! 2. Rotate your fridge! 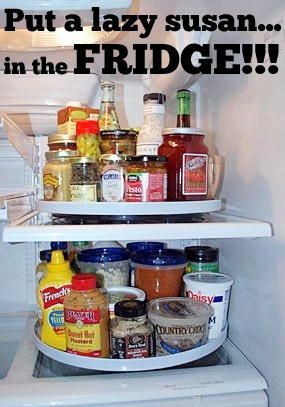 Yes food gets shoved to the back and forgotten about, but, before you go shopping you should take a look in your fridge. Throw away anything that has expired and bring things that are still good to the front. Double check your list and make sure you don’t buy something you already have! I saw a great way to remind yourself about expiration dates: Have a specific bin for items that are about to be expired. 3. Don’t forget about what food you have by making a meal plan. This can be hard, so write it right on the fridge! 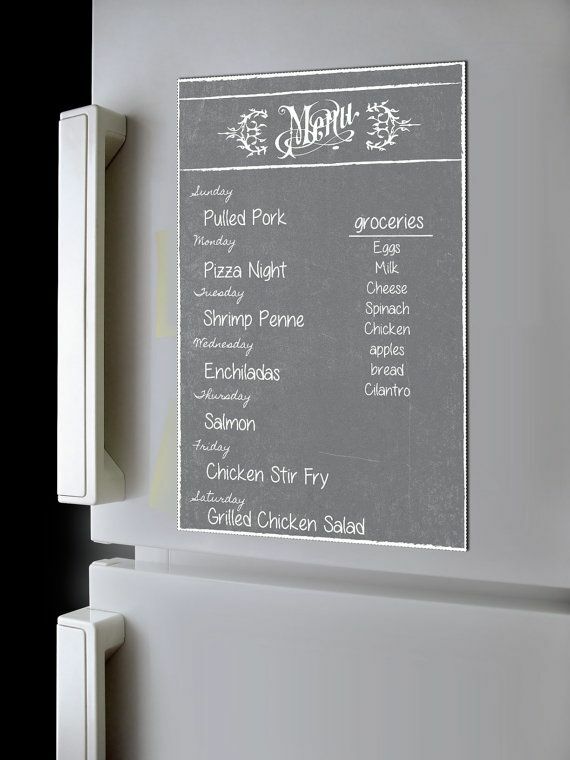 You can use a dry erase marker on most fridges or put up a small dry erase board next to your fridge. You can write a list of what you have inside or you can put meal ideas up to remind your stomach what its missing! 4. 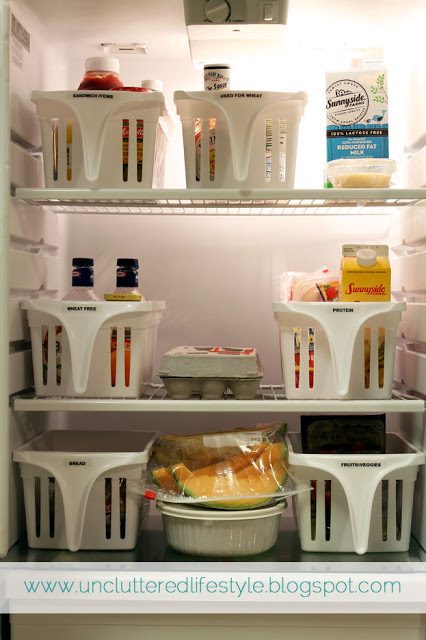 Separate your food categories into bins, this can also be used in the freezer. Get some clear or mesh baskets and label them. For example, condiments, cheese, cold cuts, yogurts. 5. Many fridges don’t have enough drawer space, and dark crispers tend to be where vegetables go to die. 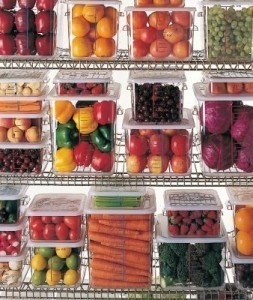 Don’t let your produce rot, if you over stuff these drawers the food will go bad faster. 6. And finally my personal favorite fridge tip: Get a Lazy Susan! Spring is now in full swing and it’s time to finally tackle the clutter that has been building up all year. After the miserable hibernation that was the winter of 2015, we are all grateful to throw open the windows and get some fresh air. It can be hard now that the weather is nice to spend your free time in a basement or closet, so I am here to offer a few tips on how to get your project done quickly and make it last all year. This may seem obvious, but I find that making a really extensive and almost impossible list helps to clear my head. Write down any and all things that you have been wanting to get done, it helps to see everything on paper. I also suggest you TYPE IT, make it official! -Consolidate papers into one storage box! And only a few things are better than putting a big red line through a completed task! This can be hard, schedules are busy and a big project can be daunting. Recruit some help, your husband, your children, a very kind friend, (OR your friendly neighborhood organizer!) and mark the date on your calendar. I’m sure I’m not the only one who has started a huge project with all the energy in the world only to give up at lunch time. 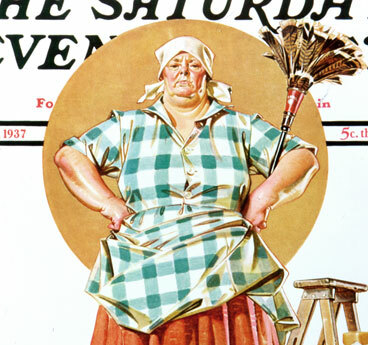 Unless you want that half cleaned garage to be laughing at you all summer try to plan ahead so that you don’t spread your self too thin. For example, don’t plan to clean your whole basement on the same day you sort through your winter clothes. If you’re like me, you will get derailed by old boxes of photos and letters, avoid the two hour trip down memory lane and have some one there to keep you on track. For slimming down on clothes, I find it is necessary to have some one decisive with you who can say ‘THROW IT AWAY”! It can be hard to finish a really big organizing project in one day if you take everything out and lay it in front of you. Work in one area and complete before you break into another area. Part of organizing is putting all those rubber bands in one place, but an even more important part is knowing when to say “ok I have too many rubber bands”. I found SEVEN paris of nail clippers the other day. My first thought was ‘ hmm where should I put these?”, then I realized “this is how you will die, crushed by hundreds of various nail clippers”. Your home is not a warehouse, if you haven’t used them yet there is a strong possibility you won’t. Throw them away! Or donate! The first two weeks after I’ve cleaned my closet, everything has a place. The first week after I’ve cleaned my desk, super productive. The first day after I’ve cleaned my car, uplifting! Then things start to pile up again. Mail, keys, coffee cups, papers and trash start to sneak back in. My clothes don’t get folded correctly, I take out the duct tape and it doesn’t get returned. If you create an easy access system it will be much easier to maintain your organization. Replace your super full cardboard box with some clear sliding stackable drawers (any Target or Walmart). This will make it easier to see what you have and remember where it goes. Try not to fill your storage to the top. This makes it really hard to access what is at the bottom, and makes you more likely to not return items to their homes. If you have huge drawers full of clothes or gadgets, downsize. The more space you have the more you feel the need to fill. When you throw away old clothes, get rid of the hangers too! This way they don’t beckon for new versions of the same old stuff. Just remember, your garbage will always miss you more! And for most of us, this can be a clean and organized home’s worst enemy. Slushy snow gets tracked over hardwood floors and carpets, while boots, jackets, and all kinds of snow paraphernalia pile up next to the front door. Having a dedicated (and organized!) mudroom space can be simpler than you think, and can save you from the messy headaches winter can bring to the indoors. Having an open storage space, whether this be in a designated mudroom or the entryway to your home, is crucial for wet winter jackets. Air circulation helps them dry faster and the open concept look makes everyone’s coats and snowpants easier to spot. This type of space can easily be achieved with plenty of hooks. For the more ambitious, cubbies are a great option too and can be found at most furniture stores. Make sure to stock up on baskets and bins. These look great on shelves or can easily be stacked or slid underneath a bench. Grouping similar items together makes finding what you need later simpler and quick! Stop the snow before it makes its way inside! Keep a rough mat outside your door and a tray for wet boots inside to help catch melting snow and stop it from spreading. As always, remember to declutter! Do you really need that winter jacket you haven’t worn in three years? How about those ratty and torn gloves? Donate what you can and throw away the rest, and you will be shocked at the amount of free space you have for the items you actually use. Kid-friendly tip: Make kids excited to stay organized with name plaques and individualized cubbies! More often than not, what keeps us from starting big projects isn’t that we just can’t do it—it’s that they are so intimidating! Follow these steps to get your morale up and keep “avoidance mode” at bay. 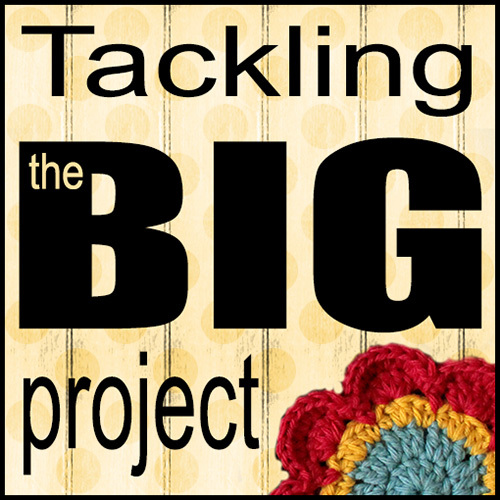 That next big project will be done before you know it, and you’ll feel great, too! Mark a date on the calendar! Maybe a day when the kids are at school, or if weekdays are too hectic, choose a Saturday morning to get started. Getting started is the hardest part, but if you make room in your schedule any project will feel less daunting. Before you touch anything or make any decisions, just spend 5 to 10 minutes looking at the situation. Familiarizing yourself with what is there and envisioning how you want the space to look when you are done can help desensitize you to an overwhelming situation. Take some pictures of the project before your start—you’ll want them later! Start with a 15 minute de-cluttering spree. Set a timer and grab two boxes or bags: one for trash, and the other for donations. Look for items you no longer use or need. You know better than anyone what’s just taking up space and what needs to stay! Working in 15 minute cycles helps compartmentalize the process. 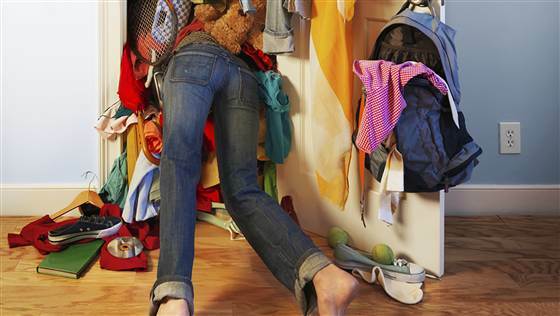 Commit to spending 15 minutes a day on this de-cluttering phase until you are done. Focus on small areas at a time to keep from feeling overwhelmed or pressured. Once the de-cluttering is done and you have successfully sorted into piles of trash and donations, create a task list. Write down a check-list of everything you think needs to get accomplished in order to complete the project. Don’t stress! This list is just an outline and doesn’t need to be detailed and perfect. Work step by step and bite-size your tasks. Bring out your timer again and keep to those 15 minute intervals! Turn bigger steps into smaller ones. Rather than tackling a whole closet, work shelf by shelf to keep things simple. Once you finish your task list, your project should be done. Now’s the time to pull out those original photos and congratulate yourself on a job well done! With spring cleaning out of the way and yard sale season just around the corner, follow these easy tips for a stress-free and successful yard sale to get rid of that clutter once and for all! Once you have gathered all of the items you want to include, create an inventory sheet of what you’re selling and the prices you’ve assigned. You’ll be surprised how much this will come in handy if the day of the sale price tags don’t stay stuck. See if any of your friends and neighbours want in on the sale! 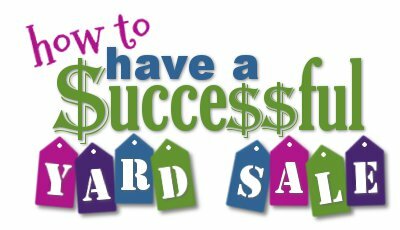 Larger yard sales attract larger crowds and increase your chances of selling your goods. After you choose your date and location make sure to advertise! This is especially important if your house or yard is on a quieter street. Keep in mind that most people will see only see your signs from their cars. Bright and colourful posters with large lettering and helpful arrows will direct shoppers your way. Nothing turns a shopper off a good deal more than dirty, sticky, or dusty items. Give everything you want to sell a good wipe-down before setting it out! If you have a lot of a certain item, say old CDs or a toy car collection, offer bargain hunters the opportunity to buy in bulk and fill a Ziploc bag or shoebox for a set price. This helps speed up your sale and move larger quantities of items. For those of you with kids, let them in on the yard sale too with a chance to make some pocket change! A lemonade stand or refreshments table encourages shoppers to browse through your items while enjoying a tasty treat. 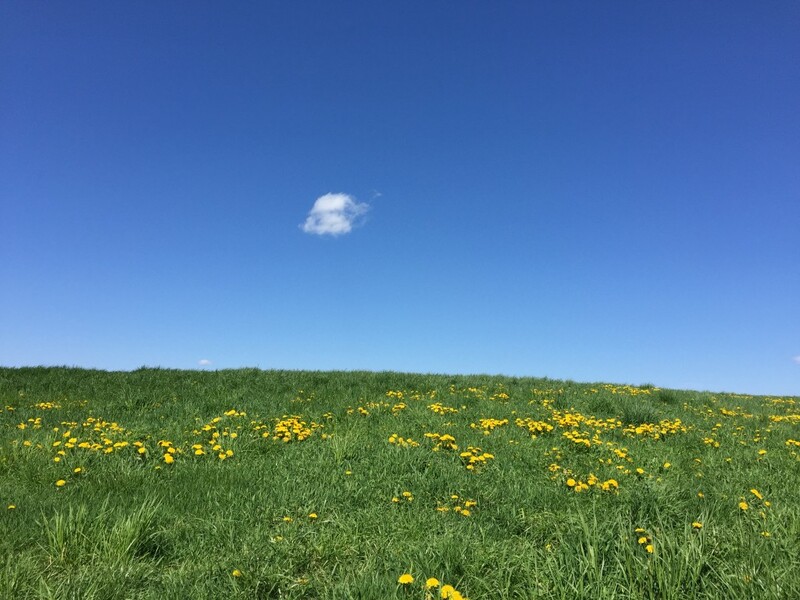 Remember to keep a smile on your face and enjoy being outside! At the end of the day any items you haven’t sold can easily be boxed up and donated to a local charity to help you remain clutter-free. As we slowly emerge from the bitter cold of winter into the bright green of spring, I know one question is on a lot of our minds. How can we stay organized with the environment in mind? Organizing goes hand in hand with environmental consciousness since both in their very nature focus on reduction. Here are a few handy tips to “green thinking” during spring cleaning season! Paper is more often than not the number one source of clutter! Reduce the amount of paper waste you generate by keeping things electronic. Reuse paper with one printed side as coloring material for kids. Always remember to recycle! Shredded paper, paper bags, and cardboard boxes are all just as recyclable as old magazines and junk mail. 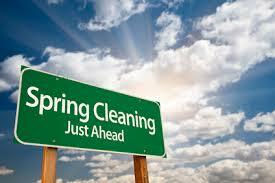 Spring cleaning gives you the perfect opportunity to create a donation pile. Old winter clothes and children’s toys can be donated to various organizations such as the Salvation Army and Goodwill. Green options exist for nearly all aspects of your life! Consider switching from cleaning products full of dangerous chemicals to safer, more eco-friendly options. Local stores like Whole Foods and Trader Joe’s offer tons of green cleaning brands such as Seventh Generation products and their own name brands. 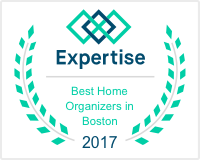 Let’s face it—whether your office is an executive suite, a cramped cubicle, or you find yourself working from home, we’ve all encountered the overwhelming sense of frustration clutter and disorganization can bring. No matter how much space you may have it sometimes feels like there’s nowhere left to put anything! Try following a few of these easy tips and you might be amazed to realize office organization is within your reach! Consider adding shelving to your work space. While this might seem like a daunting task at first, there are plenty of easy and low-budget options out there. Swing by your local Lowes or Home Depot for ideas on mounted shelving. If power tools aren’t your thing, there are plenty of stand-alone options as well from places as convenient as Target. I think everyone should have a label maker. I have two— one that is attached to my computer and a hand-held one. These come in handy in any office and help you stick by the mantra “a place for everything and everything in its place”. Three-ring binders work great for keeping track of bank statements and investment statements since they usually already come with three holes punched in them. Using binders and filing systems is great for keeping paperwork organized and your desktop de-cluttered. One of my go-to brands for office organization is Sterilite, which you can find at most Staples. They have small, white, basket-like trays that come in four sizes and are perfect for organizing drawer space. You can mix and match to fit in whatever desk drawers you have! Can you believe it’s December already! This year has flown by and now we are approaching the Holidays. As a professional organizer, I am conscious of clutter, which makes me think very carefully about the gifts I give. Will they serve a purpose or just add to the clutter that already invades their space? Ask yourself this question when you are shopping for gifts this holiday season. Make a list of who and what you need to buy. Group your trips. If you can get a few things done at the mall or a plaza that has more than one store, plan ahead. If at all possible shop locally and support your community. Many towns have wonderful shops with unique items! 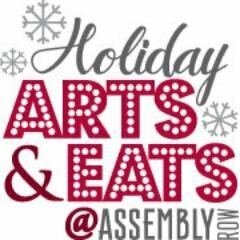 Here are a list of local events that offer great holiday gifts and while you shop can support the local businesses and artists at the same time! New England’s premiere exhibition and sales of contemporary art, craft and design. What is your gift buying strategy? How do you make your gifts more meaningful? What’s the best gift you ever received? Share your advice with us on our Facebook page! 8 Steps to Switching Your Wardrobe For Winter! The seasons are changing here in New England and it’s time to switch out your clothes and home goods. It’s a labor-intensive process that many people don’t like, but some preparation can make this process smoother. Step 1: Before you dash off to any store to buy containers, first take the opportunity to sort through your clothes and eliminate any that are torn, stained, stretched, out of style, etc. Make sure to empty all of your pockets of coins or other items left. Step 2: Launder or dry clean clothing before you pack it away, even if you have only worn it once. Step 3: Sort clothes by fabric type. Protein-types like wool, silks, and leathers should be packed together in breathable containers to prevent drying out or cracking. Plant-type fabrics such as linen, cotton, and rayon should be packed separately. Step 4: Choose the right storage solution for you. For breathable storage, think canvas or mesh. For airtight storage, I prefer the Sterilite 66qt bin with the white lid. Target always has them and I like their sizes. You can also use “Spacebags,” they are similar to large ziploc bags that you vacuum air out it minimize space. If you choose to, place the compressed bags into the bins, this will help keep any moisture out. I like the bins as they are stackable. Step 5: Invest in some sort of moth repellent. Cedar is a good choice. Just remember to give the pieces a light sanding between seasons to reactivate the oil in the wood. Step 6: Keep everything labeled in case you need to access it during the season. Step 7: If you want to store clothes hanging (dresses) in hanging bags, like your favorite dress or outerwear make sure its a cloth or muslin bag. Using a plastic bag or dry cleaning bag, traps moisture inside and mold and mildew can be created and it is terrible for your clothes. Step 8: Depending on what kind of space you have in your closets, nesting things will save space. Smaller bags inside larger ones. Tall boots can be put up on the top shelf if the ceilings are high enough. I like to stuff the boot shafts with paper so they keep their shape. Jackets should be hung on a sturdy hanger, wood if you have them. Hang the items by length first, long coats and jackets all the way to one side so you can see the floor easily. I always like to hang things by color and sleeve length, vests with vests etc. Gloves and hats can be kept neat by using a basket or clear bin. If there is room, one basket/bin for each person. Step 9: Choose your storage location, store things in a cool, dry place. Work within the space you have, if the only place you can store things is the attic or basement it is okay unless the basement gets wet or is damp, moisture invites mold and mildew. Guest bedroom closets are great for off-season storage. Under the bed works well if your bed is high enough. If you’ve got room in your main closet, stack the boxes in the back of it. If you have any off-season clothing storage advice, PLEASE share! Do the same with any questions, and I’ll comment to offer an answer! Hope you all enjoy the adventure of going through your summer clothes as you store them away. Watch out winter is on it’s way!